SOLD BUT NOT FORGOTTEN !! 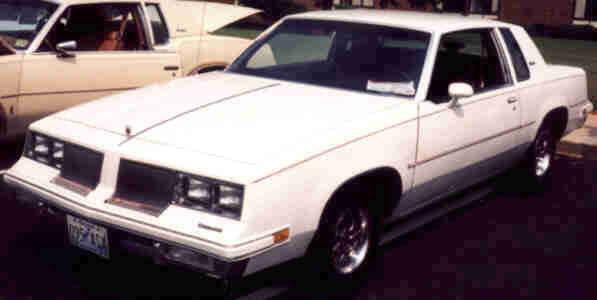 1986 Oldsmobile Cutlass Supreme. White, burgundy interior. Bench seat. Rebuilt 307 Olds V8 and Turbo 350 transmission (was TH200). 2.14 rear! PS, PDB, AC, tilt, cruise control, Originally had wire wheel hubcaps. Now has 14x6 Superstock II wheels. I painted the wheels gray....they're supposed to be body color but I like 'em better this way! P215/70R14 B.F.Goodrich Radial T/As. No vinyl top. Manual windows/locks. Great car!